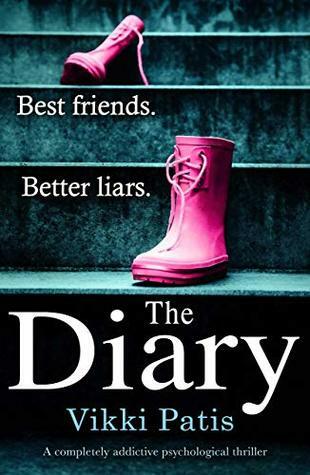 The Diary by Vikki Patis is a psychological thriller that digs for the secrets of the past. The story involves a teen suicide years before and flashes between the current and past to slowly build what happened all those years ago. Lauren had been best friends with Hannah while growing up but the moment Hannah took her life Lauren ran from her home and hasn’t returned for ten years. Now on the anniversary of Hannah’s death Lauren returns to face the past. However, after arriving back home Lauren begins to receive threatening text messages and as she slowly meets up with her circle of friends from the decade before she finds they all have been threatened. Finding Hannah’s diary Lauren is determined to find out who doesn’t want her to know about the past. The Diary was another of those extremely slow building thrillers that unfortunately makes for one that is in danger of losing my attention. I do appreciate the author trying to touch on a relevant subject with teen bullying and suicide though. But I couldn’t help but think to myself again and again that the whole thing could have been solved rather quickly but instead was being dragged out so while the mystery wasn’t bad in the end it was just too slow getting there for me to enjoy it more. LOL Sorry Sandy, it really never seemed that thrilling though and you know me with the slow ones. Too bad this was a bit too slow for you. I am glad I passed on this one.